If you want a DJI drone for shooting 4K videos on a budget, the Phantom 3 SE was built just for you. The DJI Phantom 3 SE is targeted at beginner pilots and offers a flight time of 25 minutes. 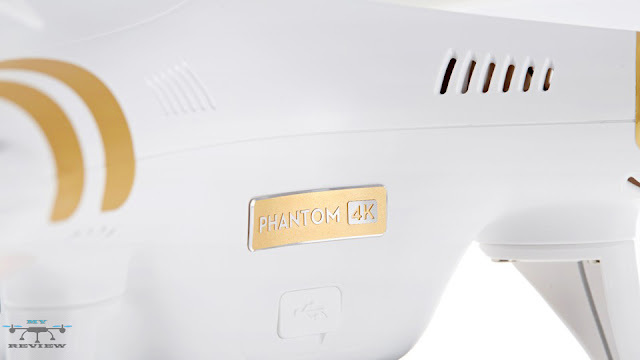 A key differences to the standard Phantom 3, is that the SE features a vision positioning system that lets the drone hover and fly in a stable manner indoors or in areas without connection to GPS satellites. 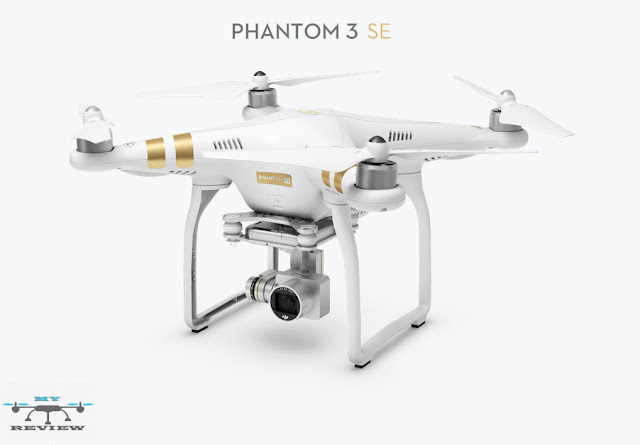 The SE model also offers a video transmission range of up to 2.5 miles versus only 0.5 miles on the Phantom 3, and records video in 4K resolution at 30 frames per second compared to the standard version's 2.7K footage. As the Phantom 3 Standard, had as its weak point the radio signal range, being of type Wi-Fi (not Lightbridge), was limited to a few hundred meters. In still image mode the camera can capture 12MP images, with the lens offering a 94-degree field of view. Other key features include flight speeds of up to 35mph and the capability to return automatically to a recorded home point when the battery levels of the drone or the remote controller get too low. The Dji Phantom 3 SE features several improvements over its predecessor, the Phantom 3 Standard, including the ability to record 4K ultra high-definition video, and a Vision Positioning System for precise navigation and flight stability. The Dji Phantom 3 SE camera 12MP shoots 4K 30fps, delivering impressively clear and detailed images. It's custom-engineered lens features a 94° filed of view, which is well-suited for aerial imaging and ensures your work always comes to life. Dji phantom 3 SE has an Intelligent Flight Battery Capacity up to 4480 mAh. The phantom 3 SE offers up to 25 minutes of flight with an advanced battery management system that offers intelligent charging and discharging protection to ensure longevity. The remote controller is very responsive with battery 2600mAh and transmission distance up to 4000m "4KM" away , so all you have to focus on is getting the best shots possible😉. 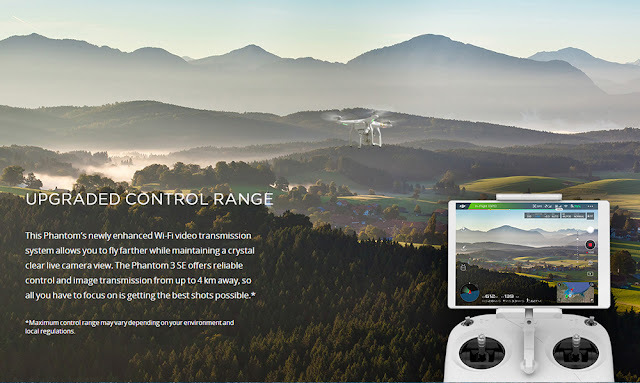 The remote controller of phantom 3 SE is responsive with tablets and smartphones to can monitor their real-time HD live feed while adjusting camera and aircraft setting. The Phantom 3 SE is available at amazon for just 479.00$. If you think this article "Dji Phantom 3 Se Review - Things You Sould know" its useful share it with your friends and be one of My Drone Review Family by a Quick Subscribe! amigo em visto tem conhecimento com Drones, gostaria de saber se eu comprar esse Phanton 3 se, irei ter problemas em usar no Brasil? I try itn is very awesome! So Cheap and hight quality i like it! Thanks for this quick review! I have this drone which I bought last March 2018 as my birthday gift for myself. At first I was not satisfied with its range. I only get 500 to 600m max. I almost give up. But after more several flight i was surprised and shocked that it reaches up to 2.6km to 3km. Take note that I was flying with trees obstructions partially. I believe that when you fly this for first time it is "locked" in a beginner mode. As your skill and flight hours grow you break away from being a novice and you will be able to get satisfactory range. This is my first drone and I love it!